Business processes are not only variable they are as well dynamic. A key benefit of Business Process Management (BPM) is the ability to adjust business processes accordingly in response to changing market requirements. In parallel to BPM, enterprise cloud computing technology has emerged to provide a more cost effective solution to businesses and services while making use of inexpensive computing solutions, which combines pervasive, internet, and virtualization technologies (). Despite the slow start, the business benefits of cloud computing are as such that the transition of BPM to the cloud is now underway. Cloud services refer to the operation of a virtualized, automated, and service-oriented IT landscape allowing the flexible provision and usage-based invoicing of resources, services, and applications via a network or the internet. The generic term “X-as-a-Service” summarize the business models delivering almost everything as a service. BPM in the cloud is often regarded as a SaaS application. More recently, BPM is being regarded as a PaaS as it facilitates the creation and deployment of applications, in this case business process solutions. The PaaS landscape is the least developed of the four cloud based software delivery models previously discussed. PaaS vendors, such as IBM, Oracle, and Microsoft delivered an application platform with managed cloud infrastructure services however, more recently the PaaS market has begun to evolve to include other middleware capabilities including process management. BPM PaaS is the delivery of BPM technology as a service via a cloud service provider. For the classification as a PaaS a BPM suite requires the following capabilities: the architecture should be multi-tenant, hosting should be off premise and it should offer elasticity and metering by use capabilities. When we refer to BPM in the cloud, what we are really referring to is a combination of BPM PaaS and BPaaS (Business Process as a Service). Business Process as a Service (BPaaS) is a set of pre-defined business processes that allows the execution of customized business processes in the cloud. BPaaS is a complete pre-integrated BPM platform hosted in the cloud and delivered as a service, for the development and execution of general-purpose business process application. Although such a service harbors an economic potential there are remaining questions: Can an individual and company-specific business process supported by a standardized cloud solution, or should we protect process creativity and competitive differentiation by allowing the company to design the processes individually and solely support basic data flows and structures? Does it make sense to take a software solution “out of the box” that handles both data and process in a cloud environment, or would this hinder the creativity of business (process) development leading to a lower quality of processes and consequently to a decrease in the competitive positioning of a company? How to manage the inherent compliance and security topic. Within a completely integrated business application system, all required security aspects can be implemented as a safeguarding with just enough money. Within the cloud, however, advanced standards and identity prove is required to monitor and measure information exchange across the federation. Thereby there seems to be no need for developing new protocols, but a standardized way to collect and evaluate the collected information. To survive in a competitive business world, a company needs as much help as it can get. Collaboration and the use of provided services is nothing new. Customers in today's world have an array of services supporting their business from which to choose. Cloud services transform the way many organizations work. 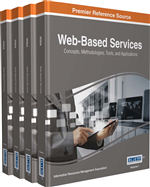 They offer significant benefit for operation management and service computing (Chang 2013). To take advantage of these benefits the encouragement of process improvement and the assurance that processes do meet all compliance and risk regulations is of core business interest. In addition, customers increasingly want to get their products and services sooner, better, cheaper and in a more innovative and up-to-date way. This is due to the continually change of demands and expectations so that the need to be dynamic in provisioning products and services in the most efficient and effective manner through continuously improving processes rises. The important question there is: where do cloud services fit or not fit into the traditional set of services? Process improvement is one of the ways addressing the challenges of increasing in regards to effectiveness, efficiency, capacity, flexibility and responsiveness (Chang, Walters & Wills 2014). More recently, a new generation of collaborative tools evolved which support coordination of activities via a web based service. What is relatively new is the use of software systems to support the collaboration of business processes to facilitate new forms of collaboration. One major product emergence is the entire cloud service model as innovation and collaboration, which will frame the future of the cloud agenda. (Forrester, 2012) Due to this technological evolution, it becomes increasingly easier for companies to cultivate and orchestrate collaborative ecosystems around the cloud services. Whereas previously the data in IT systems largely stayed locked up behind corporate firewalls, more and more of these data is now flying in and out of a cloud. This digitization is transformative, driving business processes to ever-greater power and efficiency. However, standardization is still and even more a key success factor that allows the digitization of business networks to expand and flourish. The business processes and related business parties with their interaction, such as suppliers, distributors, customers, partners, and employees form increasingly complex and dynamic system, which stays as the most important factor of any competitive advantage.